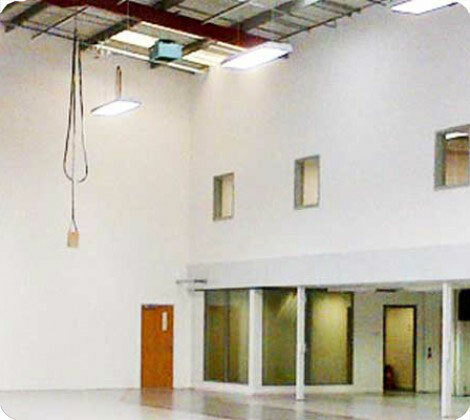 At UK Racking LTD we design and build either single or multi-tier mezzanine floor systems, and we offer full fire protection, safety barriers and access equipment as and when required. When made of structural steel, our mezzanine floors are capable of withstanding substantial loads, supporting shelving, racking etc. Our mezzanine floors have been installed in a huge variety of sites throughout the UK, ranging from the workshops to warehouses and retail units. The best part of having mezzanine flooring is that it is very cost effective, it’s a good way of doubling or even tripling your floor area, and because its free standing, they can be installed quickly with minimal disturbance to your day. To make sure that a mezzanine floor is safe and precisely fit your needs, at UK Racking LTD we offer a wide verity of options and accessories. This can include two or even three tier floors, staircases, cat ladders, lifting devices, fire protection, bridges and pallet gates. At UK Racking our floors are pre-engineered and installed using our own team. High quality manufacturing methods means that they go together on site as planned and and are all covered by the building regulations.